The Taj Mahal is a mausoleum located in Agra, India. It was built by Mughal emperor Shah Jahan in memory of his third wife, Mumtaz Mahal. The Taj Mahal is widely recognized as one of the universally admired masterpieces of the world's heritage. Source: Wikipedia, Taj Mahal. 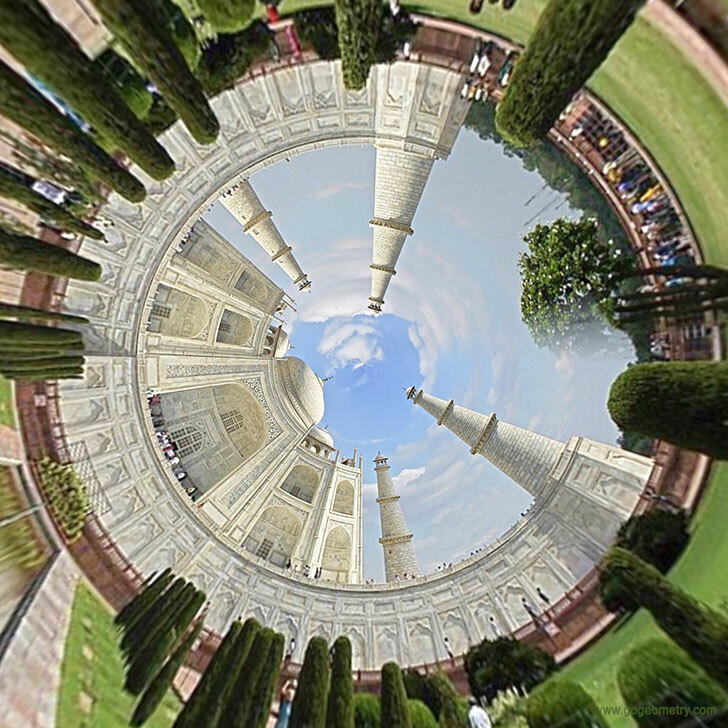 The stereographic projection of the Taj Mahal is a mapping that projects a plane image of it onto a sphere.